“1 The earth is the Lord’s, and everything in it. The world and all its people belong to him. 2 For he laid the earth’s foundation on the seas and built it on the ocean depths. 3 Who may climb the mountain of the Lord? Who may stand in his holy place? 4 Only those whose hands and hearts are pure, who do not worship idols and never tell lies. 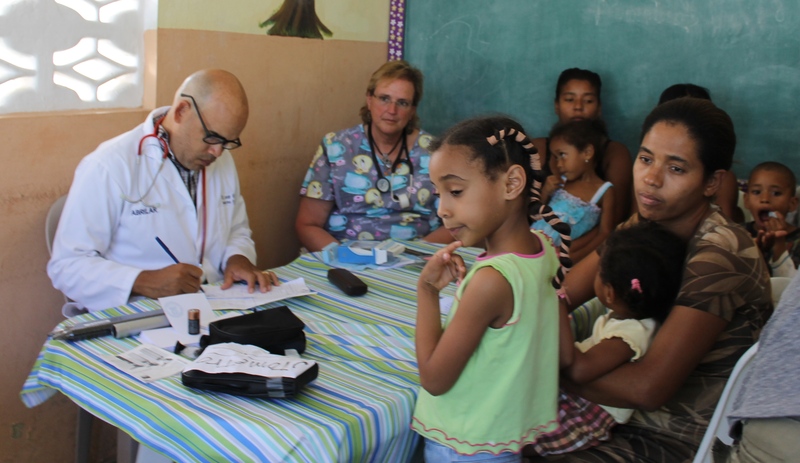 5 They will receive the Lord’s blessing and have a right relationship with God their savior. 6 Such people may seek you and worship in your presence, O God of Jacob. 7 Open up, ancient gates! Open up, ancient doors, and let the King of glory enter. 8 Who is the King of glory? The Lord, strong and mighty; the Lord, invincible in battle. 9 Open up, ancient gates! Open up, ancient doors, and let the King of glory enter. 10 Who is the King of glory? The Lord of Heaven’s Armies—he is the King of glory” (Psalm 24 – NLT). As I shop for just the right gifts for our family, as I lay awake pondering on all the activities of the season, as I decorate our home, as I recall loved ones who have passed,…there’s a longing in my heart to simply be with Jesus. Do I give the King of glory full entrance into the innermost and uppermost place in my soul? In all the “pomp of external ceremonies,” is there room for Jesus? This psalm is concerning the kingdom of Jesus Christ, I. His providential kingdom, by which he rules the world (v. 1, v. 2). II. The kingdom of his grace, by which he rules in his church. 1. Concerning the subjects of that kingdom; their character (v. 4, v. 6), their charter (v. 5). Concerning the King of that kingdom; and a summons to all to give him admission (v. 7-10). It is supposed that the psalm was penned upon occasion of David’s bringing up the ark to the place prepared for it, and that the intention of it was to lead the people above the pomp of external ceremonies to a holy life and faith in Christ, of whom the ark was a type. A psalm of David. He is Jehovah, and will be Jehovah our righteousness, an all-sufficient Saviour to us, if we give him entrance and entertainment. He is strong and mighty, and the Lord of hosts; and therefore it is at our peril if we deny him entrance; for he is able to avenge the affront; he can force his way, and can break those in pieces with his iron rod that will not submit to his golden sceptre. In singing this let our hearts cheerfully answer to this call, as it is in the first words of the next psalm, Unto thee, O Lord! do I lift up my soul. May we simply be with the King of glory this Christmas season. Christmas leads to the Cross…. I recently came across this video, from Billy Graham. The Cross, a message of hope. 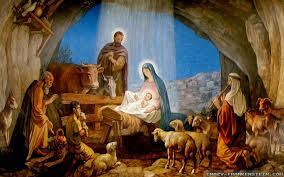 As my heart readies for the celebration of Christ’s birth, I’m reminded of the reason Jesus first came to earth. I encourage you to pause and take a few minutes to watch this video. 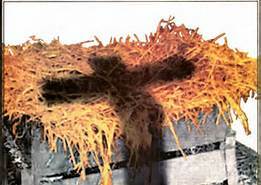 For Christmas truly leads to the Cross….and our Savior’s glorious resurrection. What, no “real” Christmas tree this year? Breaking tradition is difficult for me, especially when it comes to family. For as long as I can remember, there has always been a “real” Christmas tree in all my homes. My earliest memory of this tradition actually flashed into my mind just the other day. 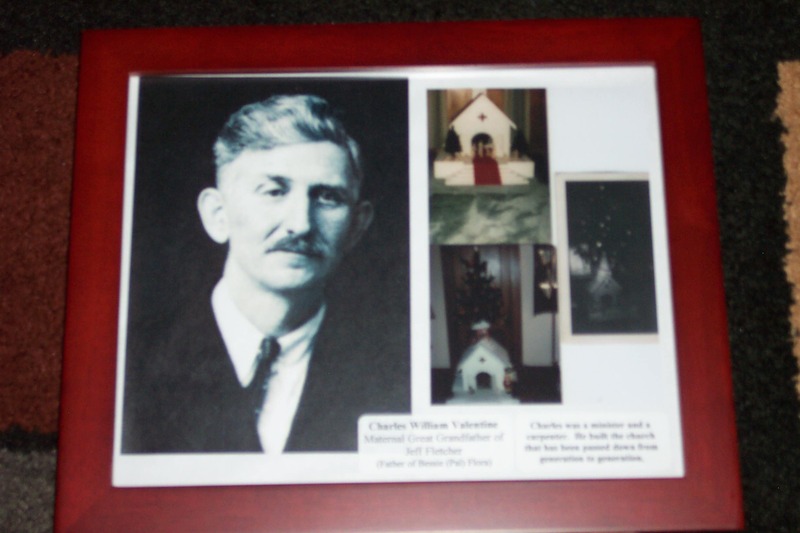 My grandfather, who was a Shriner, helped sell Christmas trees at a local grocery store. The proceeds went toward the Shriner’s Crippled Children’s Hospital. He would bring home a tree for us to decorate. Fast forward to my married with children days. My husband and I began our own family tradition of packing up our kids in the car and heading to a Christmas tree farm, where we picked out the most “perfect” tree on the grounds and then we cut it down. Some years, however, the trees were not so perfect, like the one in Colorado. The trunk was so crooked it caused our “perfect” tree to tumble over in our living room (every time we were away from home). Oh my, fun times! Well, this year I’ve been struggling in my spirit with the issue of buying gifts with money we really don’t have to spend. 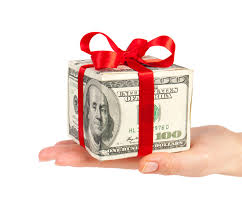 Going through some difficult transitions with job changes and playing catch-up with some financial obligations, the money just hasn’t been there to buy “all” those gifts to put underneath the tree. What tree? When it comes right down to it, going to the Christmas tree farm and cutting down a real tree isn’t cheap. This is what we’ve done, though, with our kids and now grandkids. Not this year! While thinking of ways to cut back on spending this year, but still capture some favorite family memories, this idea came to me. Several years ago, my husband, Jeff, inherited a wooden church that his great-grandfather made as a carpenter; he was also a Baptist pastor. This beautiful wooden church has been passed down from generation to generation (now to the 4th generation). One of my most favorite memories of this church is when Jeff’s grandparents had it. They always had an artificial tree sitting in the chimney of the church, decorated with old-fashioned bubble lights. That’s it! This year, we will sit the church in our living room, where our “real” Christmas tree normally sits, and possibly we will put an inexpensive little tree in the chimney. 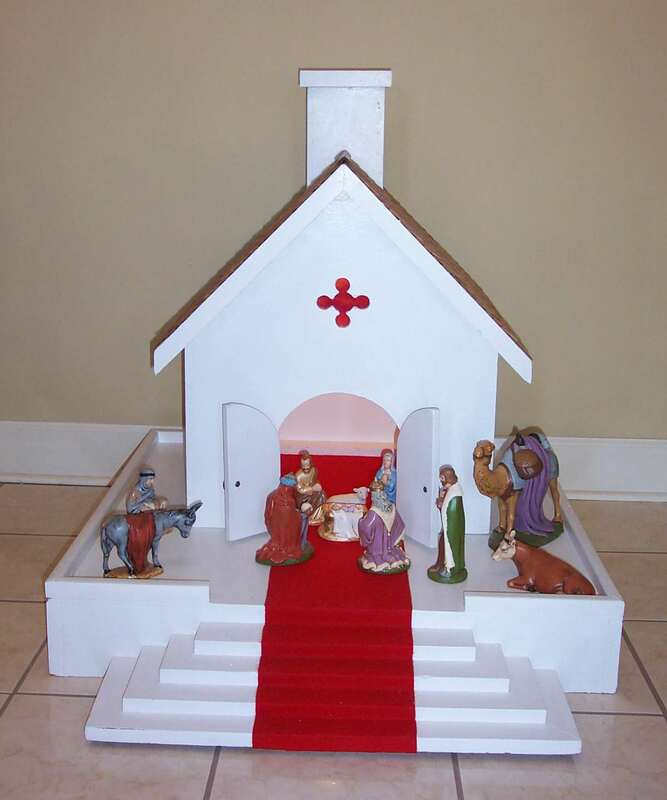 Since we receiving the church, I purposefully display my hand-made nativity set. My grandchildren love to play with the various pieces, especially placing baby Jesus in and out of the feeding trough. It never ceases to amaze me how God cares for even our little family traditions. My God is the Master Creator! This year, we may not have a “real” Christmas tree, but we will focus on Christ. Instead of placing our gifts under a tree, we will place them around the church. And on Christmas day, Pappy (Jeff) will share the story of the greatest gift of all—Jesus, by reading the Gospel accounts of His birth from Luke 2:1-20; Matthew 2:1-11. What are some of your favorite, or new Christmas traditions? Please share some in the comments. Advent, a season providing Christian families an opportunity to prepare their hearts for the celebration of the coming of the Lord into the world through the birth of Jesus Christ. The season of Advent begins on the fourth Sunday prior to Christmas. The word “Advent” is a Latin word meaning “the coming.” I believe that many families find it difficult to experience the true joy of Christmas due to unrealistic human expectations, which is often driven by the secular media. The oldest lie of Satan, “Look and see what will “really” make you merry.” Well, enough of the negative. Let’s share some ideas of how to focus on the truest and purest meaning of Christmas–Jesus and His love for all mankind. The Advent Wreath: One of the most recognizable symbols of Advent. The wreath can be made by using various materials. Traditionally, the wreath is made of a circle of evergreen branches laid flat to symbolize the endless nature of God’s love for his people. Four candles stand in the circle. Three of the candles are purple and the f ourth, the “Joy” candle is pink. Blue candles may also be used to emphasize our hope in God’s promise fulfilled in the Nativity. 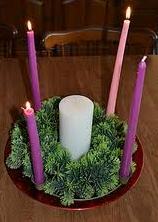 One candle is lit during the first week (Sunday) of Advent, two during the second week, three during the third, and four during the fourth week. The candles remind us of the light of God coming into the world, and the light from the candles grows brighter as each week comes closer to Christmas. ** Different colors may be used to signify other characteristics of Christ; and a white candle (Christ candle) is placed in the middle of the wreath and may be lit the Sunday closest to Christmas or on Christmas Eve. The Christ candle represents Christ Himself–pure and blameless, and without sin. “God made him who had no sin to be sin for us, so that in him we might become the righteousness of God” 2 Corinthians 5:21. For younger children, make miniature Advent Wreaths: Have little hands mold clay into circular wreaths, and then add birthday candles into the clay. 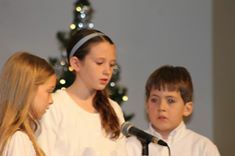 Devotion: When lighting the Advent candles, be sure and share a Scripture reading and or Christmas devotion. You may also want to sing some favorite Christmas carols. Pray together, asking the Lord to keep your hearts and minds focused on the true meaning of Christmas–JESUS! 1. Ask children to be intentional in showing acts of kindness each day. Tell them not to reveal the nice things they have done until someone asks them, “Did you make your sisters bed?” Then they can reply, “Must have been a good elf or little angel.” 2. Have children make an Advent chain from construction paper. After cutting 25 strips of paper to make the chain, ask the children to write down one act of kindness on each strip of paper. Example: Clean my room. Make a special Christmas card for my teacher. Tell a friend about Jesus. Etc. Then connect the links together to make a chain. The child will select one link each day and complete the act of kindness noted on that link. To make a Family Advent Chain, simply write out acts of kindness that the whole family may take part in. Example: Make cookies for a neighbor. Donate food to the local community food pantry. Babysit for a friend. Invite a family over for a meal or movie night. Etc. Be creative! 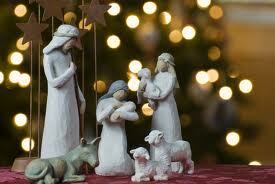 Nativity Scene — Instead of setting up all the nativity pieces at once, add a new piece each day. For instance, begin with the stable or an empty manger, then add a cow, a lamb, camels, the straw in the manger, the shepherds, the angel(s), Joseph, Mary. Then on Christmas morning, add baby Jesus to the manger. Variation: Set the three wise men across the room from the stable, and each day move them a little closer until they reach the manger scene on Christmas day. Each day read small portions of the Christmas story from Luke 2:1-20 and Matthew 1:18 – 2:11.